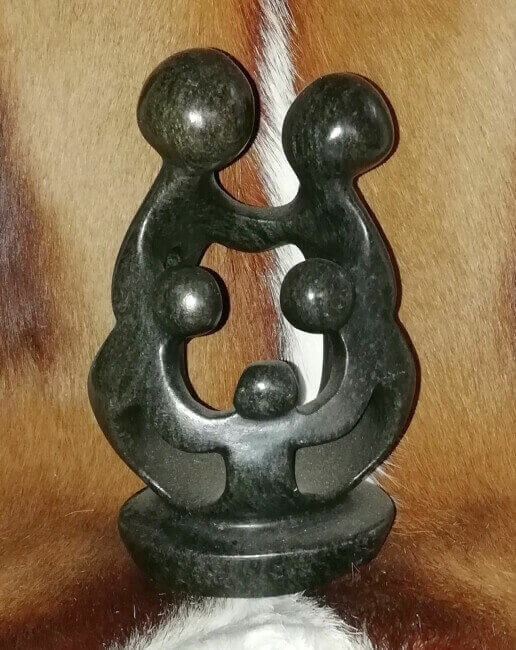 A true Shona abstract stone carving - 5 head family. 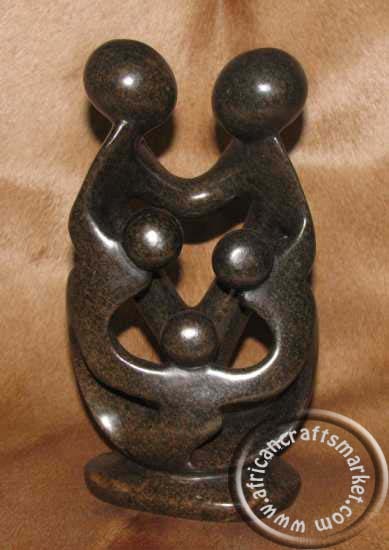 This is an African abstract soapstone carving of 5 faceless family member locked at the arms in an embracing style. The abstract stone carving originates from Zimbabwe and has been handcrafted out of Soapstone by a Shona artist. Soapstone abstract carving such as this can be made with any number of faceless heads. 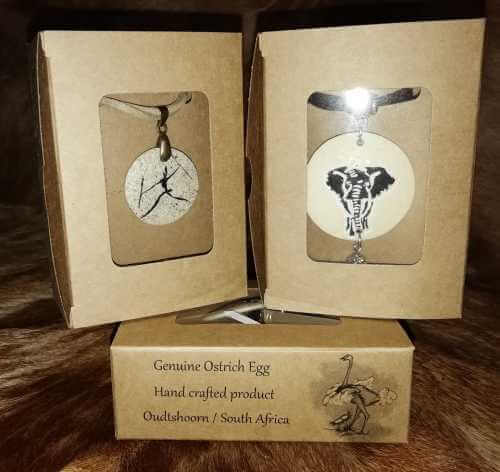 So if you are looking for 2, 3, 4, 6, etc... heads let us know and we will arrange that for you. This African stone carving is known as Shona arts as it has been handcrafted by the tribesmen in Zimbabwe of the Shona tribe and has 6 faces. 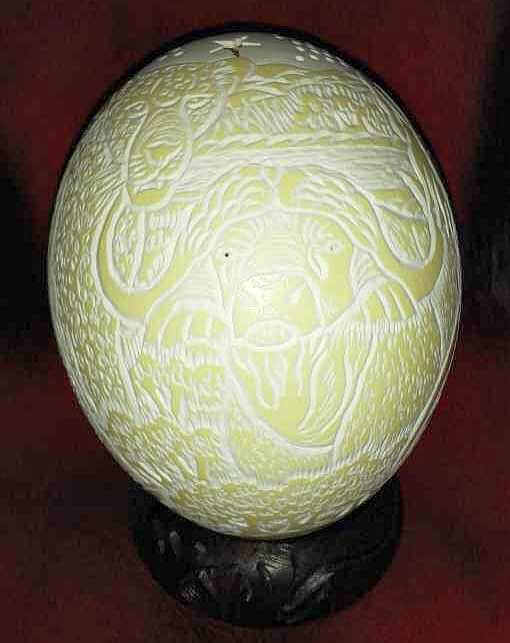 The soapstone sculpture is set in the natural color of the stone and then smooth polished. We do have a variety of Abstract soapstone carvings to view in our gallery but should you be looking for a particular soapstone carving please email us and we will see what we can arrange for you.